Josephine Board obituary. Carnes Funeral Home. Josephine Board, 90, passed away peacefully Wednesday October 25, 2017. She was born April 12, 1927 in New Iberia , Louisiana , to Leontine Boutte Board and Albert Board. She was the 12th of 13 children. She was preceded in death by all of her siblings. 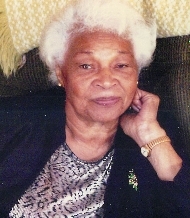 She moved to Galveston in 1951 and worked at St. Mary's Hospital and John Sealy Hospital as a nurse assistant. She retired as a home health aide in 1995. She was devoted and loving to her family. She presided over many happy family gatherings. She was generous to those she met in need. She is survived by her daughter Emma Joseph Williams, grandchildren Terrance D. Haynes, Jennifer Williams and her husband Philip Osei-Manu, great- granddaughter Orelon Josephine Osei, and many nieces and nephews. A memorial service will be held at Carnes Funeral Home, Texas City on Wednesday November 1st, at 11:00am. Interment will follow at Hayes Grace Memorial Cemetery , Hitchcock ,TX. Reverend David Roberts officiating. A special thank you from the family to Dr. Barbara Thompson MD, the staff of the 10th floor of Jennie Sealy Hospital, the staff of Regent Care Center in League City, and great neighbors and good friends.